The Agreement to participate in the Promotion “30% bonus on the deposit”. Promotion - the Promotion “30% Deposit Bonus”. Company - Company ForexMart ( ) a company incorporated and registered under the Company Law of the Republic of Cyprus with registration number 266937. 2.1 Every client has a right to receive the bonus in the amount of 30% of his/her deposit on a trading account with ForexMart within the Promotion. 30% bonus for the account replenishment shall be deposited within the term of one week since the moment of the account uploading. 2.2 For getting the 30% Bonus it is necessary to open a new account. The number of account for the 30% Bonus for each client is not limited. 2.3 The Client has a right to get the 30% bonus each time he/she deposits funds to his/her trading account. The amount on which a bonus can be accrued is equal to difference between deposits and withdrawals. 3.1 The Promotion described in This Agreement is launched on 1st October 2015. 3.2 The company has the right to stop the Promotion anytime without prior notice. 4. Conditions for getting the bonus. 4.1 The bonus can only be credited for the funds in fact present on the account at the moment of considering the application for a bonus. 4.2 The 30% Bonus can not be credited to an account, which is already credited with a bonus of another type (no deposit bonus). 4.3 Identification information is not requested while applying for the 30% Bonus. But the company reserves the right to request identification documents at company's own discretion. - X*0,3/50 (lots) for RUB accounts. Only the total and full amount of bonuses can be withdrawn, partial withdrawal is impossible. In order to withdraw bonus funds from a trading account, a trader shall send a request to bonuses@forexmart.com. The amount of bonus should be fully available in the trading account at the moment a manager considers the withdrawal request. The Company reserves the right to decline the request for bonus withdrawal without explaining the reason. 5.2 The profit made over the bonus amount can be withdrawn without any restrictions in case all conditions of the present agreement are fulfilled. 6. Bonus cancellation and correction. 6.2 In case bonus value is over 2000 EUR and more than 10% of trades are made with less than 0.01 market lot, the bonus can be reduced to 1000 EUR. In case bonus value is over 10000 EUR and more than 10% of trades are made with less than 0.1 market lot , the bonus can be reduced to 3000 EUR. 6.3 The Client agrees that the company may cancel the bonus and correct the profit made with it, with amount equal to bonus sum, in case of detecting any signs of abuse of the bonus program if account has profit equal to deposit without prior warning or explaining the reason. Client admits possible risks of applying this paragraph. 6.4 The Client agrees that any funds withdrawal which causes the total amount of all bonus funds (bonuses received minus bonuses canceled) to exceed 30% of the current free margin on the trading account is followed by cancellation of bonus part equaling the difference between these values. In order to avoid cancellation of the bonus exceeding the amount of withdrawal, please refrain from any withdrawals if the amount of all bonuses on the account tops the permissible value of the welcome bonus for the current free margin on the trading account after the withdrawal. The Promotion conditions can be changed or supplemented by the Company at its sole discretion. 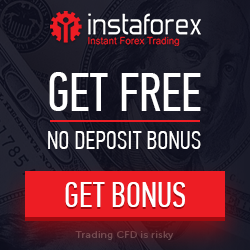 2.1 Every new Client of ForexMart is eligible to receive the No Deposit Bonus only once. The bonus is incompatible with other types of bonuses. Check bonus amount. 2.2 The No Deposit Bonus is available only for the accounts that passed the verification procedure. 2.3 The campaign applies to ForexMart Standard accounts opened on 1st October 2015. 2.4 The Company reserves the rights to refuse the client's request for No Deposit Bonus without further explanation. 4.1 The maximum leverage for clients who received the No Deposit Bonus is 1:200. 4.2 The stop out level for these accounts is 100%. 4.3 The No Deposit Bonus cannot be invested. 4.4 Clients who have received the No Deposit Bonus to their trading accounts cannot participate in rebate-programs. 5.4 The maximum sum available for withdrawal from accounts with No Deposit Bonus doesn't exceed the amount of initial bonus. This rule does not apply if the profit was derived from real funds deposited by client. 6.1 The client agrees that in the event the company suspects any fraud activity involving the bonus, the latter can be declared void and the trading result can be annulled. The affiliate commissions from trades carried out on a customer’s account credited with the Fixed bonus are paid to the partner only after the customer has replenished the account with amount equal to or greater than the bonus amount. In Accordance with clause 5.2 upon any withdrawal of funds from the trading account the bonus is canceled in full + 20% of the bonus amount. 6 - 10 place - 50 USD. The winners should open and verify their live trading accounts within 30 days after the contest results are published. The prize funds will be credited to a verified live trading account opened by the winner. The winner acknowledges liability for any activity on the account opened by the Contest and Campaign Administration or by the winner himself lying within the scope of the agreements and regulations of . 2. Contact ForexMart to have the funds transferred from your old account to the new one. Unexpectedly my account obtained a negative balance, thereupon I got some notification from this broker. I`m afraid to pay higher but ForexMart assisted me by stopping automatically all of my pending orders. Registration with ForexMart is very simple. I was able to generate an account with ease and selected from the three accounts. I opted for the micro account for starters. The verification process was also not complicated and I was able to contact them regarding the process. Forex trading fo rme is a career by choice. I have been a member from different brokers, met various traders and one of the brokers that I like working with is ForexMart. They have been a steady competitor that are generous with bonusesa and efficient withdrawal system. I don't hav eany negative comments to them as we speak. In comparison with other currency pairs, my favorites are the euro-yen and pound-yen pairs, however, I still do monitor other major currencies . Prior trading, I constantly check the daily news and analysis of ForexMart, which are really dependable and relatable to currencies. I have been subscribing with ForexMart's copy trade feature and it works fast and excellent. I just checked my recent trade and I was able to gain profit as soon as the member copied gained some. I registered with ForexMart in 5 minutes or less since I just need to provide my details and a working email just like a regular registration. The next step will be verification. I have submitted them and waited for a few days. Overall, it was a fast process. I am constantly basing my trading decisions on ForexMart's economic news and analytical reviews, since these give me a clear view on what to expect during trading days. I rely on their indicators and charts to assess the forex climate. I also read their analysis especially for major pairs that have a lot of volatility in the market. Trading is not easy but I'd say it is fun as long as I am patient and have a good broker to rely on. I always read first the analysis before jumping into trades to at least have an idea on what should I do to avoid losses as much as possible. There is a lot of brokers to choose from and I ForexMart is one of my top choices. 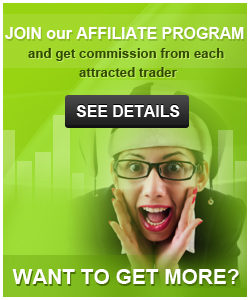 They are simple to do business with and they are generous enough to give a lot of bonuses.